Great news on our very first day back to school: Nassia Tournaki has passed the CPE exams with a straight A after only 8 months of (admittedly) hard work! Congratulations, Nassia! We have had the pleasure to teach you since the A' Junior and we can confidently say that you deserve the high grade! In the photo, you can see Nassia providing the world with some serious food for thought. Inversions a pain in everybody's neck!! If the first verb if is were, should or had, we can drop the if &begin with an inversion . Should you go to the supermarket,buy me some apples. Were I less pessimistic, I would see that everybody is happy with my party. Had he gone to the party , he would have seen Mary hanging out with John. The following are used with the past perfect to describe an event that happened immediately after another. No sooner had the car started than I saw Brad Pitt. Study the above slides so as for our classroom discussion to be facilitated. We were assigned to read this short story and express the thoughts and feelings it evoked. The story is about a young man, describing his experience of planning and executing the murder of the old man he was catering for. He suffered from a disease that heightened and made all his senses more sensible. Although he did long to kill the old man, he did not have a problem with him, but rather for his pale blue vulture eye. Every time he paid a visit to the elderly man’s chamber, he thought it was watching him. To me, that seems quite paranoid. It is very interesting to mention that throughout his descriptive monologue, he repeats he is not mad, as though trying to convince himself that this is true. Nevertheless, after committing the terrible crime, he is consumed by guilt and the illusion that he can still hear the poor deceased man’s heart beating from where he had hidden him, under the wooden floorboards. This forces him to give up his well-planned act as the policemen investigate the house and confess to having killed the man. I found the story very well-written and the illustration of the guilty man's feelings quite exemplary. Moreover, I admired the idea of telling the story from a first-person perspective. It was definitely an enjoyable read, although I found the author's raw description of the stalking and actual murder a bit disturbing at first. I would undoubtedly recommend it to someone who enjoys scary stories. In this video we can see one of the most depressing pictures in the whole world. Hunger is a problem that tortures a huge amount of our population. People like us pass away , because they do not have enough food. About 963 million people are hungry and approximately 16,000 of them are children who died from poverty. 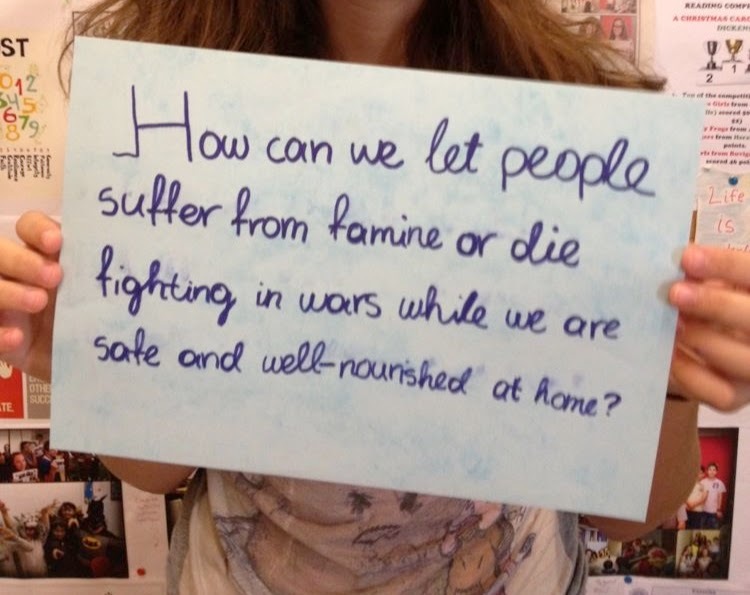 WHY MUST PEOPLE MUST DIE BECAUSE OF FAMINE ? In my opinion , solutions should be found in order to eliminate this tremendous problem. Firstly, one proper step is to give poor people some cultivated land to survive . By doing this action , we can increase people's health and productivity and, of course, the sense of hope . However, (comma) to make this step right, we should teach the undernourished countries how to grow plants and breed animals. Should we take these steps, we can reduce the high levels of poverty . Why don't you take photographs of the buildings which are destroyed in the Middle East by the U.S. Army? It is a fact that misinformation from the media is a major problem of society. Not only do the press, the Intermet and other sources of information present false data and events, but they also change them in order to suit individuals and cover up for some of the nation's, the government's or even some people's mistakes. Moreover, it is very common for the media to hide some of the most grotesque facts about wars taking place, the repercussions of extreme phenomena, like floods and earthquakes, which are a peril to plenty of countries and, last but not least, the situation in which the under-developed countries live in. By doing that, they make us feel safe and secure, but totally oblivious to what is going on around us. They offer us a feeing of living in a restless utopia where everything is perfect and there is no injustice. Acknowledging all this, it is not peculiar that we do not see a lot of things about the destruction of buildings in the Middle East, as the government wish that people, and especially Americans, have their heads in the sand about what their fellow U.S. citizens are doing to others, and instead regard them as national heroes fighting for the defence of their country and/or the protection of their allies. However, not all information sources choose to be quiet when it comes to such matters, but it is important that we understand that the community does not really want to believe them. We, ourselves, prefer to ignore despair and misery around us and focus on the positive aspects of life, thus creating a false sense of happiness and ease. Nobody can deny that, for the last few decades, technology has been a major part of our lives. However, it still remains a thorny issue. Some support the theory that technology will lead to the solution of all problems humanity suffers from. On the other hand, some detractors of technology claim that it will eventually cause the destruction of our lives. I am inclined to believe that, up to a certain point, both sides are correct. Technology has undoubtedly resulted in a lot of benefits for us to reap and still has plenty to offer. To begin with, it is much easier nowadays to communicate with our friends and loved ones whether that is by using the telephone or via the Internet. Previously, it was virtually impossible, let alone time-consuming to contact people who were far away. Technology has brought us all together. Furthermore, as curiosity has always been one of humankind’s most basic qualities, people have used technology to explore the world around them. They have succeeded in learning about what existed underground, as well as in the sky. We have managed to travel in space and reach the moon, all thanks to technological advances and our need to explain the unknown. Last but not least, all fields of work and study have bloomed due to technological development. We wouldn’t have found the cure to various diseases and ailments, had there not been machines and equipment to do so. In addition to that, physics wouldn’t exist as a science as without adequate aid, we wouldn’t be able to explain the world around us. Although the positive aspects of technology are impossible to ignore, there are two sides of that coin. Despite all the things it has helped us conquer, our excessive use of technology has had some crucial repercussions. The most important of those is, of course, environmental degeneration. We have let our love for technology and development cause the deforestation of various areas, global warming and the greenhouse effect, to name but a few, which has set our lives in huge danger, as pollution, floods and other natural disasters are a serious peril that can occur every day. Another argument against technology is our vast addiction to it. The Internet is part of our everyday lives and the various equipment existing in our house to facilitate our routine have rendered us unable to resist the comfort and well-being that technology offers to us, usually with a formidable impact on our health and social life. Taking all into consideration, I strongly believe technology can be tremendously helpful and useful in helping us face and solve our problems, if we continue to co-exist with it, as it has already helped us deal with a lot of them. However, we should it cautiously as it is essential that we protect the environment and consequently, our lives. We should consider if technology is actually more worth ruining our planet and all that we have managed to build. There has been a lot of discussion recently concerning whether microchip implants are an effective substitute for identity cards. Some people are in favor of this idea as it would be easier to have your ID embedded in you, rather than having to carry your card everywhere. On the other hand, some others claim that microchips would bring an end to the privacy and anonymity everyone is entitled to. 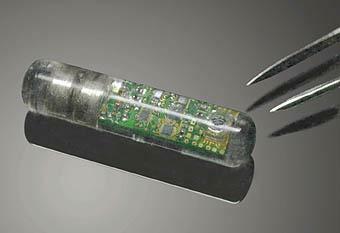 I am inclined to believe that it could be beneficial to have a microchip implanted under our skin. To begin with, chips are much more convenient than ID cards. How many times have we been prevented from doing something because we did not have our identity cards on us? We need it in order to use our credit card or to book plane tickets. Our ID cards play a major role in our everyday life and activities, despite the fact that it is not that easy to carry it around and not to forget to take it with us. 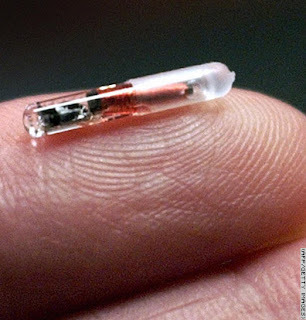 With microchips, you can be sure that your ID is always with you. Apart from that, implanted microchips have the power to cause a revolution as far as modern technology is concerned. For instance, automatic security doors, that allow in only those whose ID it recognizes or has been confirmed by the owner can be created and used for several purposes. It could be really useful if we take into account the crime rates nowadays. Another argument to support my opinion is that using microchips which contain our ID is much safer. There have been a lot of cases where people have lost or even had their cards stolen. When your ID is embedded in your skin, there is little to no chance of that happening. Last but not least, the country would be much more secure, should we adopt this identification system as terrorists would find it difficult to create a new identity and escape punishment easily. All thing considered, it seems to me that microchip implants are a very advantageous way to replace identity cards, because not only do they protect us from various types of crimes(such as identity theft), but it also helps us feel safer and more at ease and is quite convenient. For all these reasons, I strongly support the use of microchips. Nevertheless, no matter what is chosen to be our next step, it should be done with respect to people and their rights.